Liverpool have confirmed that Jurgen Klopp has signed a new long-term contract at Anfield. Former Borussia Dortmund head coach Klopp has signed a six-year deal, taking him to 2022, a club source has told ESPN FC. 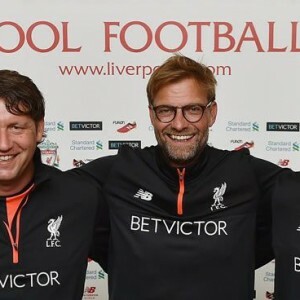 Klopp's senior assistants -- Zeljko Buvac and Peter Krawietz -- have also signed extensions. Klopp only took charge at Liverpool in October, but ESPN FC was told on Wednesday that the club's owners, Fenway Sports Group (FSG), had approached the 49-year-old about extending his stay on Merseyside. Klopp told Liverpool's official website: "It's hard to express in words how honoured myself, Zeljko and Peter feel by the commitment shown in us by the ownership and the club in general.